This week, the House of Representatives will vote on a proposed fiscal year (FY) 2016 budget for the U.S. Environmental Protection Agency (EPA) that contains significant cuts to the Clean Water State Revolving Fund (CWSRF) Program. 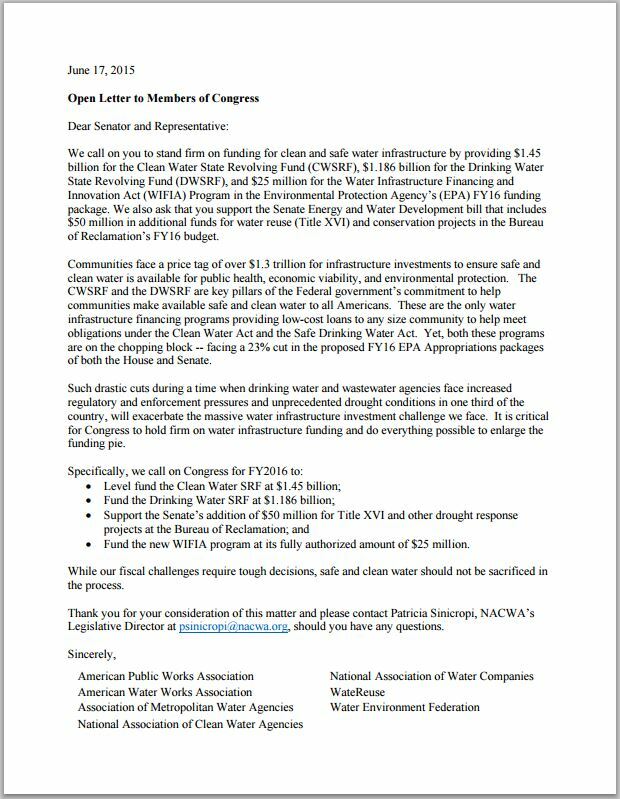 The WDBC is urging its members in the water and wastewater industry to contact their Representatives TODAY to urge them to oppose these cuts. It is critical that we make our voices heard on this issue.